Over the years search engine optimization (SEO) has changed a lot. If you are still living in 5 years back you are living in fools’ paradise. Even things have totally changed now as compared to 2 years back. Previously people were just spamming links to their website to get rankings. But now you need to look at quality links that are authoritative, relevant and from real sites. Previously bloggers generally took few weeks to rank their keywords, but now you have to wait at least 3 to 5 months to start seeing some good improvement. Previously you can use exact match anchor text to get good SERP movement, but now your anchor text profile should be natural. The only way it looks natural when it consists of right mixture of branded, naked URL and money anchor keywords. Previously you can rank your keywords without focusing on content quality, and I have seen thin pages many times on Google, and they were just ranking because of spammy links. But now your content should be well detailed, and it offers better engagement to the users. This is the biggest ranking factor nowadays. People were using PBNs and rank their keywords quite easily. I’m not saying that PBNs are not working now, but you have to put extra effort on them and make them real sites. This is where you prefer to go for guest posting option. So SEO has been totally changed and the successful people always aware of the things that are getting changed. If you are also looking for an SEO agency, I suggest you find the right one. There are many so-called SEO experts out there on Fiverr, SEO Clerks, and Konker. You need to read people reviews about what they are getting from those experts. One more thing for choosing an SEO agency you should visit that site blog to see what they are writing. Let’s take the example of Gotch SEO and Bill-Lentis; when you move to their blogs you will get to know the right information. This is where you get more confidence and can hire them on a retainer ship basis. Step 1: Find the right keyword. There are many tools you can use, but I suggest you to use SEMRUSH tool. This is the perfect tool created for competitor analysis. 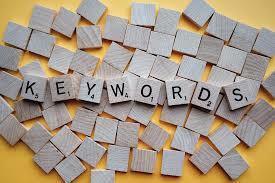 By putting in your competitor site and getting to know that on which keywords his/her site is ranking. Just get a list of those keywords and move to next step. Step 2: Create a content asset. Now search that keyword and look at the top 10 spots on Google and see what they have written. Write better content than them both in terms of quality and words quantity. 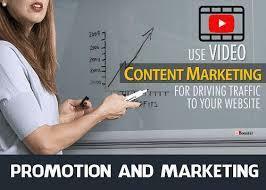 Step 3: Promote your content. This is where you can get social signals for your content assets and get links. For getting links, I suggest you use an outreach technique. 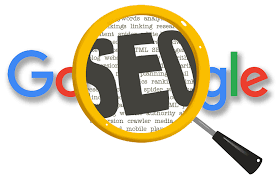 If you find this technique tough, then you can also buy guest posting service on many good platforms like The Hoth, SERP Champion, and Gotch SEO. Step 4: Make a schedule for writing content and do it repeatedly. Like every week you should at least produce one content asset for your site. The more you produce, the better it would be. But keep following your schedule. I have seen sites with better rankings that follow schedule than the sites that don’t. In short, SEO has changed, and I suggest you focus on quality content and if you focus more you will start seeing SERP improvement slowly and steadily. Also, find link opportunities and keep an eye on link velocity as well. So SEO is a slow process and patience is a key in 2019. Only those will survive that strict to their plan, and people with short-termism approach will soon start fed up with this process and will leave the game.